We’ve visited the Isle of Skye a number of times across different times of the year, and have decided to share our tips on how to avoid the crowds on the Isle of Skye. Whether you are able to travel off season or need to travel during the busy month of August, we’ll provide tips and advice to help you avoid the large tourist crowds, get off the beaten path, and enjoy some peaceful moments on this beautiful island. Many people travel to the Scottish Highlands and islands looking for scenic landscapes, outdoor activities, peaceful moments, and an escape from the fast pace of city life. This image probably doesn’t include the hundreds of other people trying to see that same scenic spot or waterfall as you. So how can you avoid the crowds on the Isle of Skye? Although there is no chance you’ll have the Isle of Skye all to yourself, there are many ways that you can minimize the amount of time you spend in large crowds of tourists, have a relaxing vacation, enjoy the beauty of this island, and find those moments of peace you are seeking. The Isle of Skye has long had a main seasonal tourism period that begins in early Spring and lasts to the beginning of autumn. Although the Isle of Skye now gets a steady stream of visitors year-round and the main tourist season has expanded, you’ll still find that the main tourist season begins around early April and then starts slowing down by October. The busiest time of the year on the Isle of Skye (and the majority of Scotland) is July and August. Note that school breaks and holidays are also busier times of the year. Traveling off-season, outside of the peak tourist season, means it will be less crowded and you’ll be able to find more reasonable lodging rates. You can also avoid the pesky midges (tiny mosquito like insects) which usually emerge during the month of May and then disappear by early autumn. Even if you still need to travel within the peak tourist season, try to avoid July and August if possible. But perhaps you need to travel in July or August as you have inflexible dates due to scheduled vacation dates, school holiday dates, or you are coming to Scotland for a summer event such as the August festivals in Edinburgh. Don’t just avoid Skye because it will be busy, as it is an amazing destination at any time of the year, and the weather is often the best in summer. But it does mean you’ll want to plan ahead more and be aware that it will be busier and more expensive. Plan ahead by booking your accommodation and any tours in advance, buy some midge repellent, and keep reading for more tips. Winter – Pros: Quiet, fewer people, and you can often find amazing lodging rates. Cons: Higher likelihood of cold, bad weather, limited daylight hours, and seasonal businesses are closed. Spring – Pros: Seasonal business reopen and weather is often pleasant (especially by late Spring). No midges in early Spring. Cons: The pesky midges emerge by late Spring and things start to get busier on the island by late Spring, especially during school breaks and holidays. Summer – Pros: Higher likelihood of good weather, everything is open during the summer months, and most opportunities for outdoor activities. Cons: Most crowded time of year and the midges are out. Fall – Pros: Tourist crowds and midges start disappearing in early autumn. Weather is often pleasant in September. Cons: This season has a high amount of rainfall and many seasonal businesses close in October. Spending the night on the Isle of Skye gives you more time to explore, and means you’ll be able to explore during the quieter morning and evening hours. You’ll have the chance to visit places before or after the day trippers and tour buses. It also means you don’t have to rush around so much and can enjoy a leisurely dinner and evening walk. It takes more time to get around Skye than most visitor realize and the single track roads, uncertain slow drivers, and limited parking at many popular sites means that it pays to leave more time than expected. In addition to practical sightseeing advantages, another good reason to spend the night here is to play your role as a responsible tourist. Spending money on the island by eating, dining, and shopping here means you are supporting the destination, the local businesses, and the local people who live and work here. Tourist money can be used to invest in the island’s limited infrastructure (e.g., roads, parking areas, toilet facilities, phone lines) and protect this beautiful but fragile environment. We highly discourage anyone from trying to visit the Isle of Skye as a day trip from Edinburgh or Glasgow. It is a 4 to 5.5 hour drive each way (just to reach Skye Bridge), so people who do this end up spending 8 to 11 hours driving and have time to see very little of Skye. A day trip from Inverness is much more feasible (about 2 – 2.5 hours each way to reach the Skye Bridge), but you still are going to have to spend 4 – 5 hours just driving there and back. Note that driving timings will vary depending on traffic and road conditions of course. If you do need to stay off the island or can’t find an affordable place to stay on the Isle of Skye, we’d recommend checking out nearby accommodation in Kyle of Lochalsh (closest town to bridge), Mallaig (closest town to ferry terminal if getting ferry to Armadale) or Plockton (cute village less than 10 miles from Skye Bridge). Just know that if you stay off the island it takes almost an hour to get from the Skye Bridge to Portree. It really saves you time if you can stay on the island. If you are limited on time, I’d join a guided tour to maximize your time, avoid the hassle of driving and finding parking, and to have access to a guide who can help ensure you see the highlights as effectively as possible. We recommend checking out the tours offered by Rabbie’s as they are an Edinburgh based operator we have personally used and they are committed to trying to travel in a way that is responsible and sustainable. They offer a day trip tour to the Isle of Skye from Inverness, a 3 day/2 night tour to Isle of Skye from Glasgow, and a 3 day/2 night tour to the Isle of Skye from Edinburgh. If none of those tours suit, Viator also offers a large number of Skye tour options. There are about 10,000 people living on the Isle of Skye and there are no better people to ask about recommendations for good restaurants, best wildlife watching spots, and scenic hiking trails. They’ll can give you tips on how you can avoid the crowds on Skye and let you know about local events like music events, movies, art shows, and festivals. For example, on our last visit to Skye we learned from locals about an interesting exhibition event taking place at the Aros (a great local hub for community events in Portree), found a new beach to explore on the Sleat peninsula, got recommendations for afternoon teas, and made a recommended stop at the Eilean Iarmain Hotel in Isleornsay (The Gaelic Whiskies is based here). Leaving time to follow local advice or follow a random sign you spot on the road can lead you to places you don’t expect, and often away from the main crowds on the Isle of Skye. Another good way to avoid crowds is to stay in accommodation away from the majority of other people. Portree has the highest concentration of accommodation and offers the largest variety with everything from hostels to guests houses to full-service hotels. If you are crowd-phobic I’d stay elsewhere as it is the busiest place on the island (of course “busy” on the Isle of Skye would equal sleepy in Edinburgh!). Other areas with higher numbers of people are Dunvegan, Kyleakin (the area after you come off of Skye Bridge), and the Broadford and Breakish area. 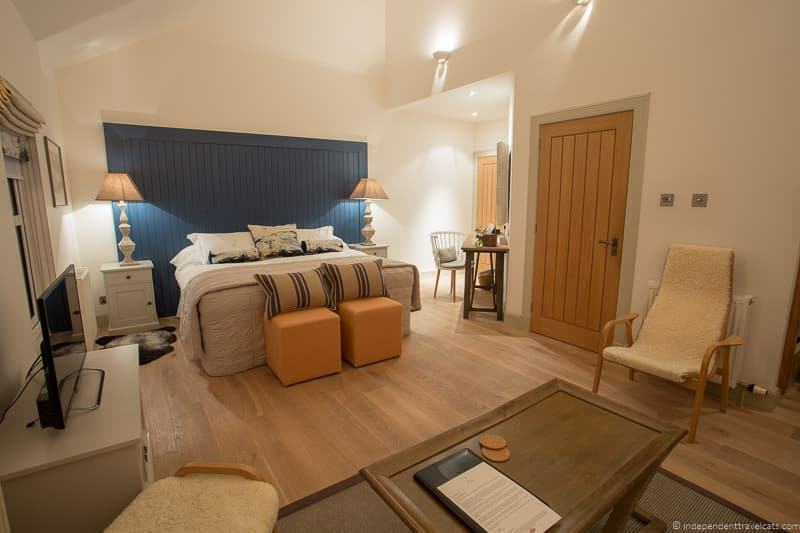 Also think about the type of lodging you want as Skye offers a wide variety which include hotels, B&B’s, hostels, holiday cottages, and campsites. You’ll likely find more peace in a small B&B, private cottage or apartment, or countryside lodge than in a hotel in the town center. Some places really promote being spots for quiet and relaxation and they range from luxury lodges to simple B&Bs to campsites.Read recent reviews to find the peaceful and relaxing spots. But you don’t have to be far from civilization and services to find a quiet spot. Among our stays, we’ve stayed in a holiday home in Staffin (walking distance of the village shop) and a small B&B located just outside central Portree (about a 15 minute walk into town) and both were very quiet stays. Hebridean View – a self-catering beachfront 4-bedroom holiday home in Waternish, perfect for families and small groups. Dunvegan Camping Pods – self-catering wooden camping pods offer a number of amenities (e.g. en-suite toilets, kitchen, linens) for a comfortable stay in a peaceful setting. Perfect for those looking for a soft camping or glamping experience without the tents. The more adventurous may also want to consider wild camping, which is basic tent camping with no facilities. Wild camping is legal in most unenclosed areas in Scotland that are not near homes or buildings although there are exceptions. 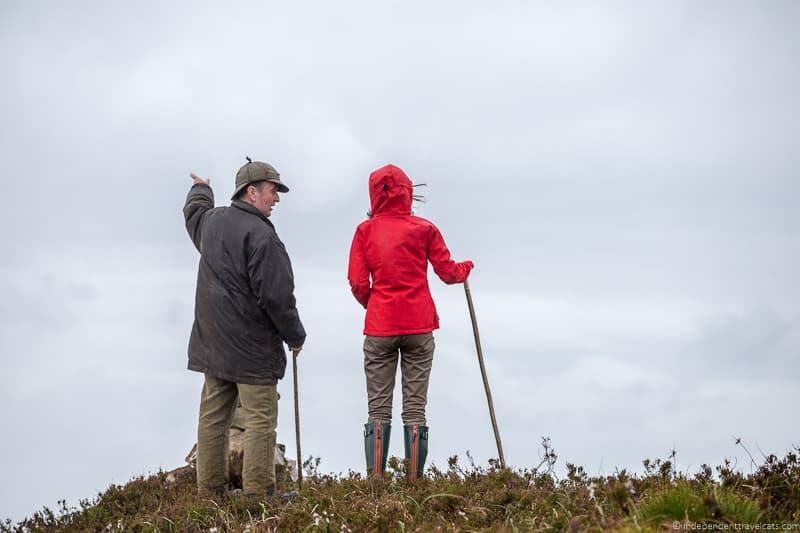 If in doubt, you should ask permission of the landowners. Campers should leave no trace and read the Scottish Outdoor Access Code for more information on guidelines. However, a more environmentally friendly approach might be to stay on a proper campsite to minimize the impact on the fragile ecosystem here, and there are a number of campground options available on the island. Looking for a recommendation for a specific area of the island or accommodation type? Just give us a shout in the Comments section below with what you are looking for and we’ll try to help! A great way to get away from the crowds is to go hiking. While there are a few very popular hikes on Skye (Old Man of Storr, Neist Point, and the Fairy Pools and Coire na Creiche), there are many other trails that get much less traffic. 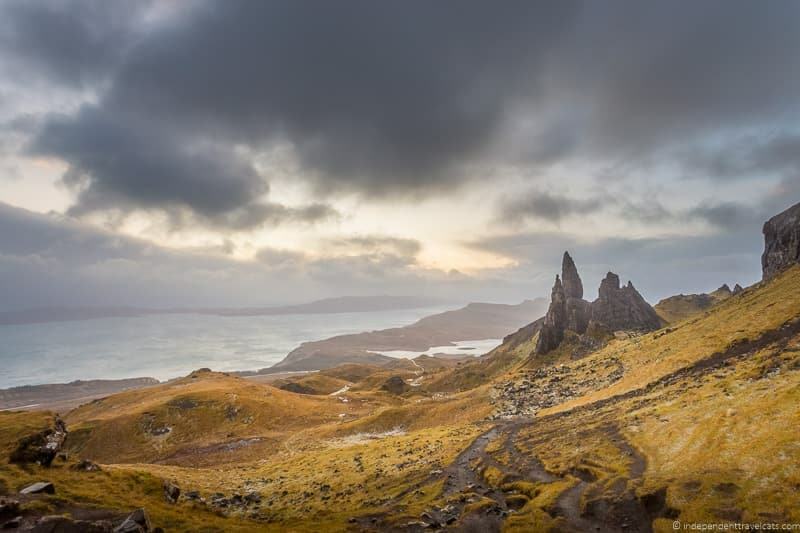 Popular hikes like the Old Man of Storr may get a few hundred people a day doing the same hike but you can get a much more peaceful experience by choosing a lesser known hike. For example, there is a lovely trail around Waternish Point and there were no other cars there when we last visited. Similarly, we found few people doing many of the trails around Sleat. Hiking trails on the Isle of Skye range from easy 0.5 mile walks to much longer and more challenging multi-day trails. To find trails, we recommend checking out the WalkHighlands website, getting information at the Visitor Center, asking locals, and just keeping an eye out for the hiking trail signs. Generally, the further the trail is away from some of the popular tourist attractions, the less people it is likely to attract. 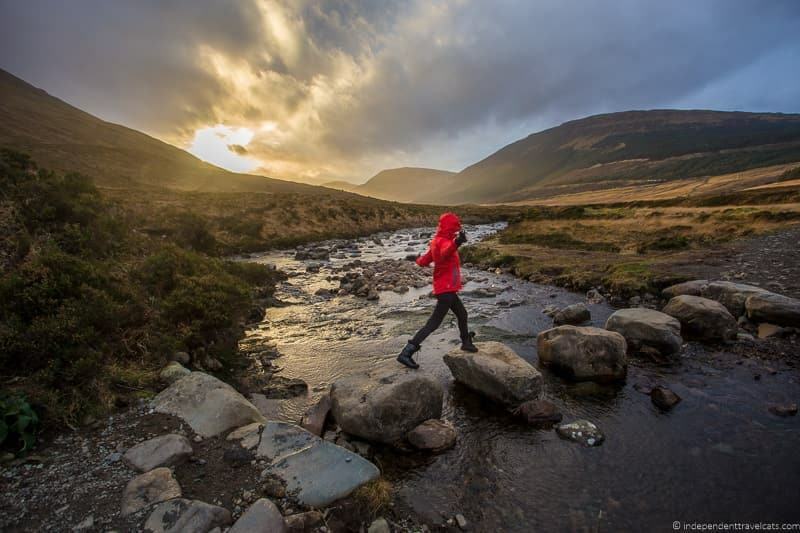 Experienced hikers might want to consider doing a more challenging trail like the unofficial 79 mile (125 km) Skye Trail which is sure to get you into some peaceful spots and have you see Skye in a whole new way! For climbers, there are 12 munros (mountain at 3,000 feet or higher) on the Isle of Skye within the islands main mountain range, the Cuillin (also referred to as the Black Cuillin). The mountains range from fairly easy climbs to spots requiring technical expertise and ropes like the Inaccessible Pinnacle. A few popular ones are the Sgurr Alasdair as the highest point on the Isle of Skye, Sgurr nan Gillean which is considered a very picturesque mountain, and the Inaccessible Pinnacle which is considered the most difficult munro climb in Britain. More experienced climbers may want to traverse the Cuillin Ridge, summiting all the main mountains in the Cuillin. The Cuillins are a popular spot for avid hikers, climbers, birdwatchers, and munro baggers, so some of these spots are likely to be busy, especially in the summer months. However, few tourists coming just for a day or two are going to be out climbing so the numbers are much lower than the popular hiking routes. Those climbs requiring technical expertise are going to see fewer climbers than those that can be done fairly easily by fit hill walkers. Hikers who want to spend more than a day or two hiking may want to get a hiking guide to the island to better pre-plan their hikes and routes. A couple of recommendations are this guide by Cicerone and this guide to 40 highlighted walks around the island. For those planning to do any longer hikes (on trails or off-trail), we’d recommend getting a good hiking map. We personally recommend the Ordinance Survey maps (these are some of the best maps within the UK) for the area(s) of Skye you plan to go hiking. There are OS 1: 50,000 scale Landranger maps (good for those planning to stick to established hikes and paths) as well as the OS 1:25,000 scale Explorer Maps for those wanting to get off the paths. If you are looking for a climbing guide or trainer, we’d recommend checking our Skye Guides. They are a local climbing company that specializes in mountain scrambling and climbing in the Cuillin and are experts in this area. They provide mountain guides, help plan itineraries, and provide training for hikers and climbers of all experience and fitness levels. They can also help devise a great itinerary to get you away from the crowds. Many people visit the Isle of Skye because they have seen beautiful pictures on social media and they want to get those same pictures. We hear this a lot, especially among younger travelers. Most tour companies predictably hit all the same spots as do most travelers. These include the Old Man of Storr, Kilt Rock, the Quiraing, the Fairy Pools, and Neist Point. These spots are almost always busy and the parking facilities near some of these attractions are inadequate and often overflowing during the summer. Two of the most popular indoor attractions include Talisker Distillery and Dunvegan Castle. If you avoid these spots, it is a surefire way to avoid the larger crowds. 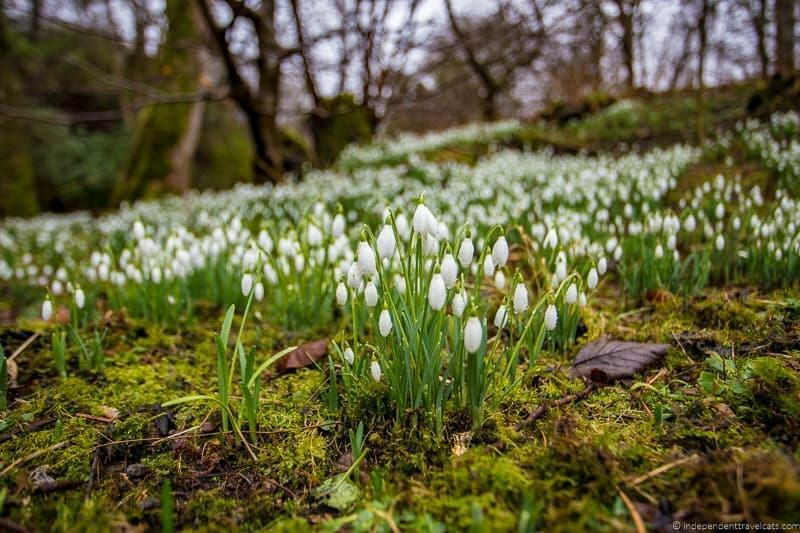 On our last visit to the Isle of Skye, the only spot we stopped at from the above was the gardens of Dunvegan Castle for a special snowdrop festival. It made a huge difference in our experience as we never saw any large crowds or tour bus groups during our visit. Of course, if this is your first time on the Isle of Skye, some of these places are likely on your must-see list. If they are, you can visit at less crowded times by either visiting off-season or at less popular times in the day (early or late). We’ve been to all the popular attractions in the winter months when there were only a few other people visiting which makes a big difference in the experience. If visiting for the first time, we’d also recommend an itinerary that mixes a few of the popular stops with lesser known attractions, hikes, and scenic spots so that you are not simply following the same tourists from spot to spot. You can still find loads of beautiful spots that rarely make it on Instagram (with no people)! People visit areas all over the Isle of Skye, but you can escape the large crowds by heading to the less visited areas. Most visitors to the Isle of Skye follow a predictable circuit that takes in the popular attractions listed in the above section (e.g., Old Man of Storr, Fairy Pools, Talisker, etc.). Therefore the roads and areas around these attractions, the area around the Skye Bridge where many people get on and off the island, and Portree (the largest city with the most services) are the busiest parts of Skye. Head to other areas of Skye to find fewer people on the road, less crowded hiking trails, and smaller crowds at the attractions and shops. These “other” areas are also great places to look for more peaceful accommodation options. 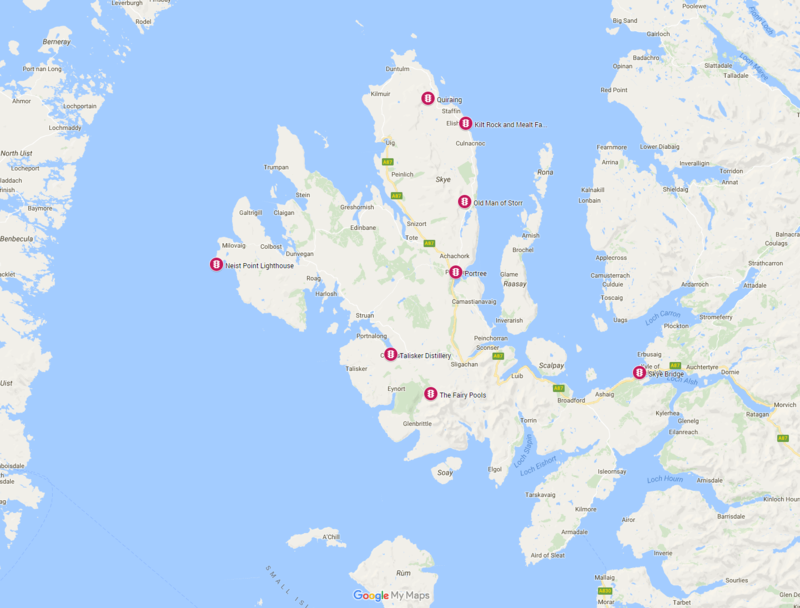 The map below highlights the most popular attractions on the Isle of Skye so you can get an idea of where to expect more traffic and crowds (and where to go to avoid them). You can click on this link to access the map or double click on the map image below. Another way to explore the Isle of Skye (especially if you plan to return) is to focus on a particular area of Skye and explore that area in-depth. We often do this when we travel and it allows us to get to know a particular area well. We visit all the popular spots but also have plenty of time to seek out the lesser known ones. For example, if you have a couple of days you might choose to fully explore the Sleat Peninsula, Trotternish Peninsula, or head over to the Isle of Raasay. Or maybe you want to base yourself near a town such as Dunvegan or Colbost and explore everything within a certain radius of that spot. Then you can stay in that area and explore the area bit by bit for the time you have for your trip. By staying in one place, you’ll also be sure to be in the area during the peaceful morning and evening hours. One good way to avoid the crowds on the Isle of Skye is to do your research and planning in advance. The fact that you are reading this post is a great start! If you wait until you are in Scotland, you’ll waste time figuring stuff out and take away from time actually experiencing the destination. Also you’ll likely be left with limited lodging options that may be less than ideal for staying away from the crowds. Figure out your dates, what you want to see, the best way to organize those stops, any tours you want to take, and where you want to stay the night. 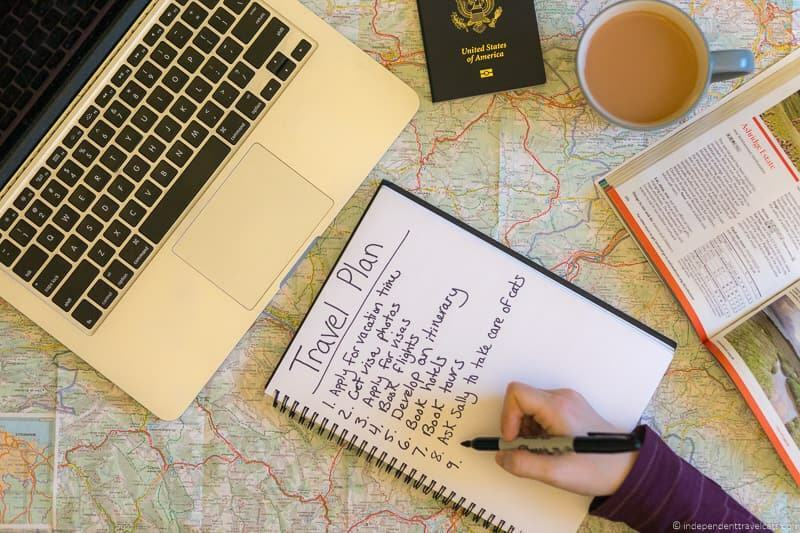 Then book anything that needs to be booked well in advance, which may include accommodation, rental cars, train tickets, most activities, and local guides. We’d also recommend booking any ferry tickets a few days in advance if you crossing with a car. Although you can often get spots without pre-booking, it can waste a lot of time out of your day if you arrive and they are sold out and you have to wait a couple of hours for the next crossing. Also if you are planning to dine out in the evenings at local restaurants, it is a good idea to make dinner reservations. This is particularly necessary during the summer months, weekends, and holidays. If you are considering a popular restaurant like The Three Chimneys, tables may be booked out weeks in advance so you’ll want to make a reservation to guarantee a table. If you are looking to eat at a less popular spot, you’ll normally be fine just booking a couple of days in advance. In the winter, it is a wise idea to always call ahead for dinner as some smaller restaurants may shut early if they don’t have any bookings. No matter what type of accommodation you are looking for, be sure to book as far in advance as you can (2 months or more recommended) to get best price and options. Prices over the summer and holidays can be very high and accommodation options often become very limited during the busy summer months. Many people find themselves in the situation of spending more money and staying in a less than ideal place because they booked last minute. If you have your eye on a particular peaceful cottage, campsite, or country hotel, book it as soon as you know your travel dates to avoid disappointment! If you don’t have time to plan ahead or don’t want to do so, you might want to book a tour. Although this might not get you too far off the beaten path, you’ll know that your transportation, lodging, and route planning will be taken care of and all you need to do is to book the tour. For group tours, we recommend checking out these tours by Rabbie’s and these tours by Viator that can be taken from Edinburgh, Glasgow, and Inverness. One great way to get off the beaten path in almost any destination is to follow a specific interest, hobby, or passion you have. Interested in art, wildlife, hiking, food, whisky, brochs, gardens, painting, clan history, boating, filming locations, dinosaurs, folklore, astrophotography, or Iron Age history? Looking for specific sites of interest will often take you to lesser known spots on the island and you’ll likely run across other attractions along the way. For example, if you are interested in art, handicrafts, and/or shopping, you may want to follow one of the Isle of Skye’s Art-Skye trails. There are over 50 shops, workshops, and studios around the island where you can meet local artists and craftmakers and purchase their work. These range from photographers and painters to weavers, potters, and sheepskin rug makers. Following the trails will take you to both popular tourist areas as well as lesser explored areas of the island. Beware though as we visited some places “just to look” and ended up with a sheepskin rug! If you like your whisky, there are now two distilleries open for public tours on the Isle of Skye as well as a third one on the Isle of Raasay. Two are brand new (Torabhaig on Skye and the Raasay Distillery) and will draw fewer crowds than the very popular Talisker. While a whisky distillery visit is unlikely to take you too far from the crowds, they are all located in areas (Sleat peninsula, Raasay, Carbost) where you can easily find spots to escape the crowds. Although Skye is not particularly well-known for its museums or cultural attractions, it has several really interesting ones. For example, there is the Skye Museum of Island Life (reconstructed old Highland village and place to learn about the past island way of life), Armadale Castle & the Museum of the Isles (focuses on Clan Donald and island history), and the small but excellent Staffin Dinosaur Museum (focuses on the island’s prehistoric and dinosaur history). There are also several ruined castles, two whisky distilleries, a few Iron Age broch ruins, fossils, old churches, and Highland Clearance villages. We’ve often been alone when visiting an old church or hiking up to an Iron Age ruin. Most people on vacation tend to sleep in a bit, have breakfast, and then head out for exploring until about dinner time. Day trippers and tour groups staying off the island won’t arrive until later in the morning and will generally be leaving by dinner. So the busiest time of the day tends to be late morning to early evenings. If you start exploring earlier or stay out later, you’ll find fewer people out and about, even at the busiest times of the year. This is harder to do in the winter months with fewer available hours of sunlight, but much easier to do in the busier summer months. If you are really trying to avoid people, we’d recommend heading out around sunrise as more people will stay out late rather than get up early. Note that you probably won’t be completely alone even at sunrise at popular scenic spots (e.g., Old Man of Storr, Neist Point, Kilt Rock, Fairy Pools) as keen photographers like Laurence are often up and about then, but you definitely won’t find crowds of people. At lesser known spots, you may find yourself alone in the early morning and late evening. Many visitors to Scotland rush around trying to see a bunch of the country’s highlights in a short amount of time. This is a guaranteed way to be in the most crowded spots of the country. If you spend more time of the Isle of Skye, not only will you be ale to see more, but you’ll also be ale to get further away from the majority of people who are only on the island for 1 or 2 days. We’re recommend at least 2 nights on the Isle of Skye to see the highlights of the island. The driving distance and times on the single track roads is often more than visitors anticipate, and many people see much less than they planned due to lack of time. 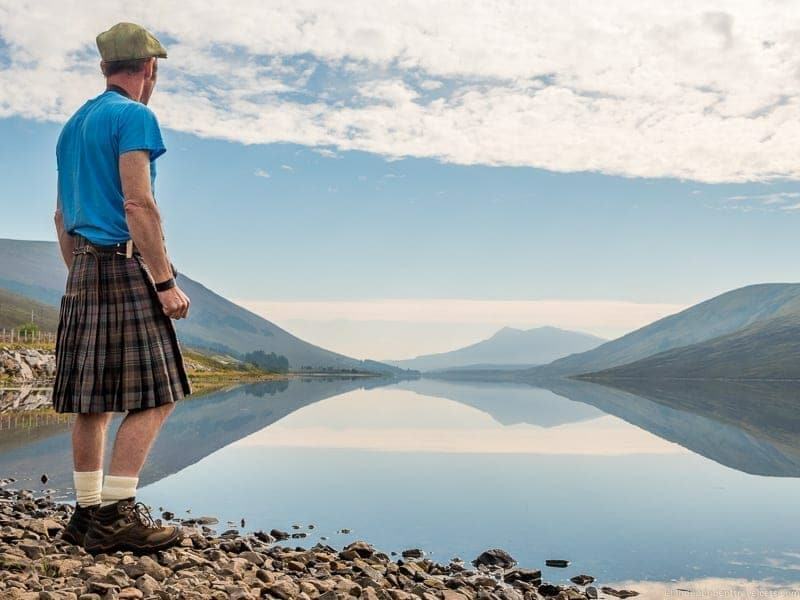 If you have 3 nights or more, you can really see beyond the highlights and head off to do longer hiking treks, do more tours (wildlife, climbing, boating, whisky distilleries), head over to Raasay, discover lesser known scenic spots on the island, and really spend time indulging a specific interest or passion. We’ve spent up to a week at a time on Skye and are still finding new things to do on every visit! In addition to avoiding crowds, staying longer gives you more flexibility to visit places depending on the weather conditions. The weather is fickle year round on Skye and it can often be cloudy and rainy. If the weather forecast is 100% rain all day Tuesday but predicted to be clearer on Wednesday you can adjust your itinerary to suit. Perhaps on Tuesday you can focus on indoor activities like museums, explore the shops and galleries in Portree, find a good afternoon tea spot, do a distillery tour, and have a nice dinner out. Then on Wednesday when the weather is better you can head off to see outdoor scenic spots, do a wildlife boat tour, and explore one of the island’s hiking trails. One great way to get to see some things you probably would not have seen on your own is to hire a local guide or book a specialty tour. You can find local guides to take you on wildlife or birdwatching walks, climbing or hiking trips, wildlife watching boat rides, photography tours, fishing trips, sailing, sea kayaking, and farm walks. These folks will know how to get you away from the crowds. Not only will a guide help you locate local wildlife or learn how to sail, but they can also be invaluable sources of information for things to do for the rest of your trip. Most people traveling today, especially younger people, rely heavily on their phones. They travel by using their phone, GPS, and Google maps to locate places of interest and to navigate during their trip. Those planning last minute are often getting ideas for where to visit by just looking on Google maps, Tripadvisor, and social media sites like Instagram. Knowing this, look for locations that are not featured prominently in Google Maps, Instagram posts, and Tripadvisor reviews as you can be sure featured spots will be the most busy. The best way to do this is to use other sources to find lesser known attractions, hikes, tours, etc. Before your trip you might want to get recommendations from a guidebook focused on the island (a 200+ page guidebook is bound to have loads of recommendations for lesser known places), examine a detailed road map of the island to get ideas for places to go and to pinpoint places of interest, and/or search travel blogs for lesser known attractions. Once on the island stop into a visitor center to ask for recommendations, check out brochures and flyers, and ask for local recommendations from your hotel and people you meet. Also keep an eye out for signs and if you have a flexible schedule, you can follow ones that look like they may go someplace interesting. If there are too many people on the island, consider getting out on the water. Go kayaking, sailing, fishing, or on a sightseeing or wildlife cruise. Getting out on the water will not only get you away from the crowds on the Isle of Skye, but it will also give you a new perspective of the island that you can’t get on the land. There are several companies offering boat trips on the isle, particularly in the summer, and you can join a group tour or arrange a private trip. Boat tours leave from a number of harbors on the island including Portree, Dunvegan, Elgol, Uig, and Carbost. Most boat tours are limited to 10 to 30 people so you won’t be with a huge group of people even on a group tour. Depending on the type of tour, boat tours can get you closer to marine wildlife, take you to spots on the island that are difficult to reach on foot such as Loch Coruisk, allow you to see features of the isle you can’t see from the land, take you to better fishing spots, and take you to see surrounding islands. If you have more than 2 days on Skye, I’d consider a trip over to the Isle of Raasay. 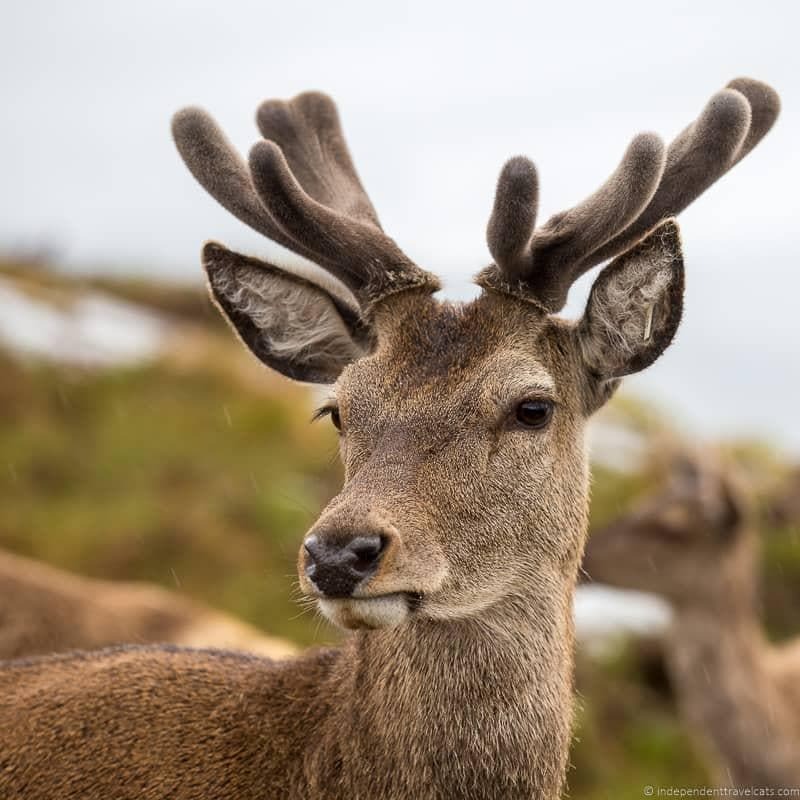 The Isle of Raasay is just a 15 to 20 minute ferry ride from the Isle of Skye (daily ferries leave regularly from Sconser and take both cars and foot passengers) and is a good place to go for hikers, bird watchers, and outdoor enthusiasts. It is more wild and wooded than the Isle of Skye. It gets busy in the Spring (especially with school groups) and Summer months, but it receives only a percentage of those who visit the much more popular Skye. You don’t need to have a car to explore here as you can hike, bike, or join a guided mini-bus tour of the island. The Isle of Raasay is a little island with only a couple of main roads, but it has a proportionally large hiking trail network and lots of unpopulated areas that you can go off and explore on foot. Hikes range from easy and short to more difficult and at a length of several miles. There are enough hiking trails to keep avid hikers busy for a couple of days. But the island offers more than just hiking. It is a great place to spot certain types of birds and during our short trip we spotted eagles here as well as seals. The island even has a whisky distillery (opened in 2017), which is pretty surprising for a little island of under 200 residents! Another good reason to come here is to do outdoor activities like kayaking, sailing, and biking. At Raasay House you can book a number of guided outdoor activities (e.g., kayaking, sailing, abseiling, archery), rent gear (e.g., bikes), or join a guided minbus tour of the island. Raasay House is sort of the go-to visitor headquarters of the island and you’ll find a range of overnight lodging types, food, and services here. Be sure to book in advance if you want to overnight on Raasay or join a guided tour as services are limited and there are not a ton of options. It is busy in summer and there are fewer services available during the off-season. We visited in winter as a day trip and had a wonderful time which lead us to book a return overnight trip for this Spring. We are excited to return in May to be able to take advantage of more of the hiking trails and to also do some of the water activities! 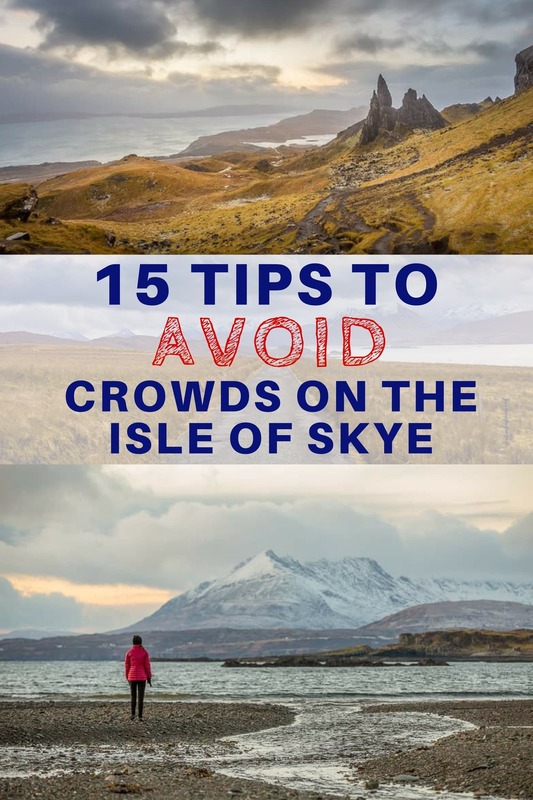 Those are our tips to avoid the crowds on the Isle of Skye Hopefully these have been helpful in planning your own trip to Skye! Have you visited the Isle of Skye? Do you have any of your own tips for avoiding the crowds on Skye (or more generally when you travel to busy places)? If you have any questions about planning a trip to the Isle of Skye, we are happy to try to help! Just leave any questions in the Comments section below. Isle of Skye is an island and the Scottish Highlands are a large area of northern Scotland and include many of the Scottish isles (which there are many). Isle of Skye is part of the Scottish Highlands and Islands but it is only a small part of it. So yes, Isle of Skye is part of the Scottish Highlands but they are not the same thing. If you want to see the Scottish Highlands and also Skye, you can see this 5-day itinerary for ideas: https://independenttravelcats.com/5-day-isle-of-skye-and-scottish-highlands-itinerary/ and might consider joining a tour like this. Thanks for the wonderful information on visiting Skye! Jeannie and I will be visiting Skye during the last week of June. We are a couple in our early 60’s and will be staying in a cottage in Carbost. First, we enjoyed your recommendation for Raasay. Could you recommend a favorite hike on the island? Second, we would prefer some less traveled local destinations. I know that you recommended guidebooks, but do you have any specific ideas? I love hiking but we are probably only up for moderate hikes at our age. Oh, and do locals wear face nets to keep out the midges or will we look like a daft loon to wear one? Ha! For Raasay, the best hike on the island is probably the one to Dùn Cana (Dun Caan), as you’ll likely be able to spot some local wildlife, feels well away from the main road, and offers really wonderful views on a nice day at the top. It is 4-5 hour round-trip hike and is steep in places but doesn’t require any climbing or anything. When we were last there in April I think, the only people we passed were a fit couple in the 70’s and they moved slower but seemed to be doing it without too much problem. It does get muddy/wet in several places, so waterproof hiking boots definitely recommended (and for any Skye hikes as well which can be very boggy in places). Can be started from ferry terminal on foot or you can drive to park a little closer to trailhead. I’d take a look at this description of the hike to get an idea if this would be doable for you or not. But there are shorter and easier ones as well such as the short one up Temptation Hill (easy to reach on foot from ferry terminal). Also you can do short hikes of Calum’s Road and around Brochel Castle if you have a car. Here is a sort of helpful local brochure. For Skye, there are probably a hundred different hikes you can do. For those in the part of Skye where you are staying take a look at this list to find ones that best fit your needs. You might consider a wildlife cruise (there is at least one that leaves from Carbost) or wildlife tour of the island with a guide. The Oyster Shed is a popular place to eat in Carbost. For things to do, it really depends on what you enjoy doing and there a number of recs within the article. Up north, you might consider doing this nature/farm walk and afternoon tea in at Waternish Farm, or you might consider looking for birds and otters at Kylerhea in the south. Dunvegan Castle gets a lot of visitors, but fewer people visit Armadale Castle (the castle itself is now just a ruin) with its lovely garden and museum. 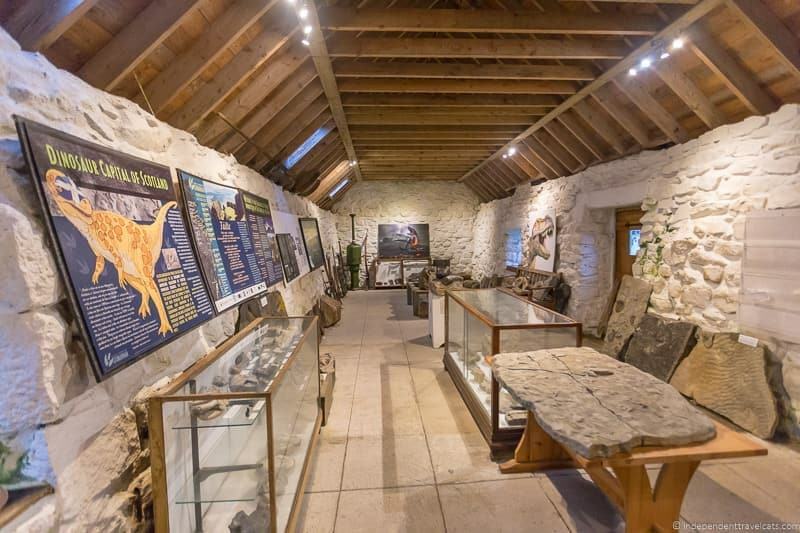 We recommend the Staffin Dinosaur Museum if you are interested in local geology and fossils. If you seek out old churches and archaeological sites (Pictish stones, brochs), most get relatively few visitors. The midges vary from year to year, but are worst from near dusk to dawn, so avoiding being out hiking at those times in summer is ideal. I’d definitely bring insect repellent (that works for midges as well as ticks/mosquitoes). Some locals do use face nets, but usually for those that need to stand around in one place for longer periods of time (e.g., repairing a fence, highway work, farming, camping). For hiking during the day, you should be fine without one with just the repellent. Also, we should have a new article out about the Isle of Raasay before you trip, so do check back or sign up to our newsletter as that may be helpful for planning your visit to Raasay. Hi! My husband and I (and our 9 month old) are traveling to Scotland this year April 9th-15th on a spur of the moment trip and we have decided to spend the whole time on the Isle of Skye because it sounds and looks so amazing. We are avid hikers and love the outdoors in general and I’ve got a lot of great tips from your awesome blog and the responses to others questions, so thank you! I’m thinking of spending 3 nights on the northern side of the island and 3 nights on the southern side so we can spend more time exploring and less driving. I’m searching Air B and B mostly and was wondering if you had any general recommendations of areas to stay in for each? Or is it small enough that anywhere will probably be just fine? We like staying off the beaten path but also love being able to walk to get dinner. On our list of things to do so far in no particular order are some of the more popular things (Fairy pools, Old Man of Storr etc), a day on Raasay, farm tour and full tea at Waternish Farm, and a day on the Sleat peninsula seeing all the sights there. Is there anything glaring I’m missing? Or favorite less popular hikes? I’m going to try to find a sea life boat tour as well but haven’t settled on what yet. We are also lovers of good food and look forward to indulging while we are there. Any restaurants or coffee/tea shops in particular you know of that we shouldn’t miss besides Three Chimneys? Thanks again for such a helpful blog! I think you have a good itinerary taking shape and with a 9 month old and the fickle weather on Skye it is good to be flexible, especially since you have 6 days here. It will allow you time to really explore the different parts of the island. For north, anywhere Portree or north is good, and for south, anywhere Sligachan and further south. For the south, I’d recommend staying on the Sleat Peninsula. I’d maybe do one town and one rural location since you have 6 nights for a change. I’d also maybe recommend splitting it 4 nights north and 2 nights on the Sleat Peninsula as there is more ground to cover and attractions in the north – but it is up to you of course! For hiking, since you have 6 days I would definitely recommend getting one of the recommended hiking guides and checking out the WalkHighlands website. With a baby, I’d definitely focus on the shorter and less difficult ones. But it is a great hiking destination for any level and you’ll find lots to choose from. 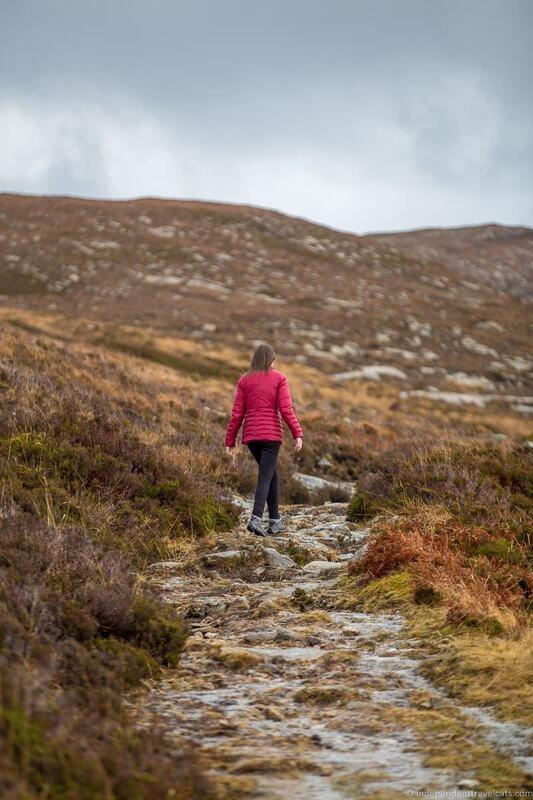 Just be sure to check the weather forecast as rain can make some of the hikes really boggy – WalkHighlands actually provides bog factor ratings which are helpful 😉 You’ll miss the midges (yea!) but be sure to prepare for rain by bringing along waterproof hiking shoes, day bags, pants, jackets (preferably with good hoods), etc. Boat trips, you can take ones from Portree, Elgol, Dunvegan, etc. depends on what you want to see/do but there are lots of wildlife viewing ones, and tickets are well priced. We’ve done one with Misty Isles Boat Trips, but there are several well-reviewed companies on the island. Many go to similar places. -Three Chimneys is lovely, you’ll want to book lunch or find a babysitter for that evening as there is a minimum age for dinner as with most fine dining restaurants. Definitely book in advance. -In terms of being able to walk to dinner, you’ll prob have to decide between “off the beaten path” and convenience. Given that, I’d stay within walking distance of Portree as Portree has the most dining options and some of the best on the island. There are several good places to eat in Portree, we’ve had good meals at The Granary and Dolce & Brose. But there are several other restaurants as well, many of which we haven’t tried. I’d make dinner reservations for any places you really want to go, especially in Portree to guarantee a table although April tends to be a more quiet time. -Coffee/tea – glad you are doing tea and tour at Waternish Farm (other good afternoon tea spots are Skeabost Hotel and Kinloch Lodge), Dunvegan Bakery is the oldest bakery on the isle and good historic spot to stop for coffee and a pastry (or a loaf of bread! ), Columba 1400 we recommend to anyone for coffee and a snack as it is a nice cafe run as a social enterprise in Staffin, there are also a couple of cafes in Portree. 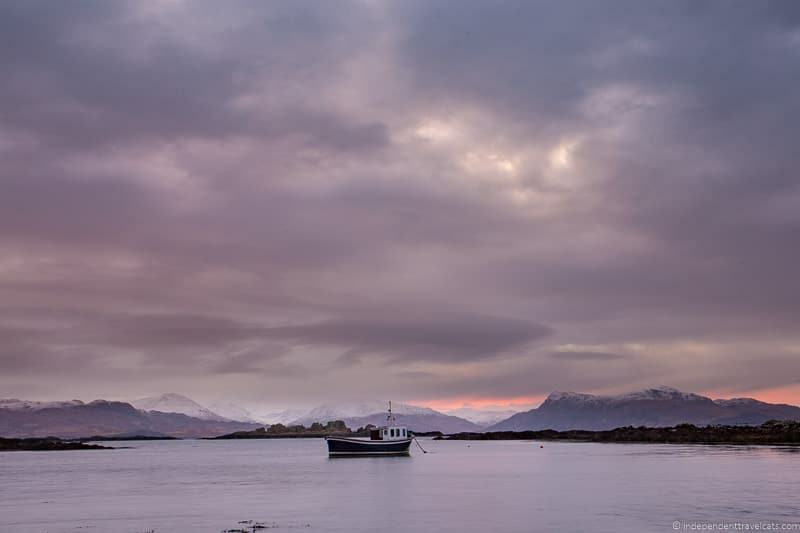 -We recommend popping over to the Eilean Iarmain Hotel for dinner one night while in the south, it is a popular tourist and local spot and they sometimes have live music and cèilidhs there. -When you go to Raasay, you’ll want to eat at Raasay House (the only place that regular serves meals on the island) or take along a picnic to eat while out hiking. Hi I will be traveling to isle of skye towards the end of July . I will be going alone. I booked 4 nights at the cullins hill hotel in Portree. I was hoping to get to the hikes and must see spots with local transportation but I’m learning that it’s really hard to do so. Then I thought to book a day hiking tour but I can’t find anything that is one day that involves hiking for a few hours. My last resort is renting an automatic car, I’m from the us and I’m not sure how hard the driving will be. Especially alone. What do you recommend? Yes, it can be difficult to get to some of the most popular tourist sites by bus on Skye, but it really depends on which ones you want to visit. Part of the issue is the routes, but the larger issue is the timing as it is at least 1 hour between most buses but more often it is several hours between buses (sometimes there are only 2 buses per day) and some of the buses don’t run every day. For hiking, this is less of an issue as you only need to be able to coordinate times to get to and from your hike, and there are lots of hikes you can do that you can get to from near a bus stop all over the island. You can also take a taxi back as needed. But again it depends if there are specific must-do hikes for you or not. If you enjoy hiking, I’d also recommend considering spending a day on the Isle of Raasay (easy to get around island on foot, or you can rent a bike at Raasay House if you want). From Portree, you can take the bus to the ferry and then you can do some hikes on Raasay before returning in evening. I don’t know of any day hiking tours, most are concentrated on longer hikes and climbs. If you decide to travel by public transit, I’d recommend joining a day tour that goes around and see some of the main tourist sites on the island if those are of interest to you as it is easier to see them with a car or tour than by public transit. There are a couple of tours that depart from Portree, such as this one and this one. The other option as you noted is to rent a car for your full time on Skye. The roads are all normally in OK condition but there are a lot of single track roads and such which scare some people who are not used to them. But lots of visitors do drive here, so it really depends on your comfort level with renting a car and driving. I think that it really depends on your main reasons for coming to Skye and what you want to do. If you primarily want to hike, you can get around probably easy enough by bus (just be sure to plan ahead with the bus schedule each day) and can always arrange a taxi if needed for a transfer here or there (always a good idea to keep local taxi numbers in your phone or pocket just in case anyway). I’d consider a group day trip to hit some of the main tourist spots on one of your days if you decide to do without a car. But if you primarily want to stop at tourist sites around the island, then a car is probably going to be better for you as you are not tied to the bus schedule which won’t allow you to just stop here and there for 10 minutes or 20 minutes at a time. Hello! We will be coming to Scotland on Feb 18th – flying into Inverness then renting a car. We’d like to spend time on the Isle of Skye and wanted to know about accommodation for 3 adults, 2 children – so ideally, two rooms, or an apartment-like set up with two bedrooms and a living room with a pull out couch. In my cursory online searches, I have not found anything like this so wondered if you had advice. thanks! There should be a number of places, either apartments or hotel family rooms, that would fit this criteria. There are fewer options during the winter months and some places may be fully booked, but I found several properties on Booking.com around Portree (as an example) that might fit your criteria. You can view them here. You can also try Airbnb options, and can see a number of available options here. We are planning a trip to Scotland for early July and I would like to spend a few days on the Isle of Skye. You have many great recommendations, thank you. I am very hesitant about driving on small roads in an unfamiliar car and would love to hire a local guide/driver. I’ve never done that and have no idea how to find someone like that. Do you have any suggestions? Thank you so much for a lovely article. Hi Holly, I am guessing you are asking about a private driver/guide rather than a guided group tour? There are several group tours from Edinburgh and Inverness that go to the Isle of Skye although they usually only spend 1 or 2 nights there. We know there are local guiding companies on Skye for hiking, fishing, climbing etc, but not sure of any that do multi-day guided tours. For a private tour, we would recommend contacting Rabbies and see what they can offer. They offer private tours and they are roughly about £550 + guide expenses a day (~ £125) for an 8 hour day of guiding/driving for up to 6 persons. If you only need a driver (not a guide) then it is about £450 + guide expenses a day (~ £125) for an 8 hour day of driving for up to 6 persons. If that doesn’t suit, and you are not able to find something, just let us know and we can ask some folks on the island for suggestions. Hi-I enjoyed reading all your advice. Thank you. When you mention going to sites before the tour groups and day trippers get there by going “early morning” how early do you mean? Also, if those mentioned get there “late morning” usually what time is that? 10:00, 11:00? We’ll be in Skye for a week the end of May 2019 and starting to plan our excursions. Any information you can give us would be helpful. Thank you. Glad you are enjoying our guide to avoiding crowds on the Isle of Skye. It really depends on where the day trippers/tours are based (those day tripping from Inverness for instance can reach Portree in a little under 3 hours). Many tour groups stay on the island in Portree or off the island around Kyle of Lochalsh and then they will start sightseeing after breakfast (so by 9am). It’s impossible to predict any particular day, but any time before 9:00am is usually fairly quiet, but by 10am things generally start getting more busy and will continue to do so over the afternoon. The spots furtherest from Skye Bridge and Portree will be quieter longer as people work their way further into the island. Then around dinner time, things generally start to quiet down again. Weekends are generally busier than weekdays. With a week on Skye you’ll have plenty of time to explore and can plan things to avoid the crowds if you are planning to visit some of the more crowded spots. May will likely be somewhat busy but not super busy if you are heading out before school holidays. With a week, we’d also recommend a day on Raasay – nice little island and a few great hiking trails. Hope that helps, and feel free to reach out again if you have more questions as you plan your trip! Thank you so much, Jessica. We’ll take your comments to heart and work on how our days in Skye will be spent. This is a wonderful article on Isle of Skye in my opinion. I think one should visit places which are less dense in term of tourists. During summer weather go for hiking and travel early morning and travel late night to avoid crowd. Or you can visit off season to visit more peacefully. Hello, excellent tips!!! I’m planning to do some photography in Scotland next year, hopefully in winter 🙂 (yeah, I don’t like crowds at all) Maybe adding also Raasay to the itinerary now. Main interest checking out family history sites on Skye, and of course would like to add Glasgow, Inverness & Edinburgh if possible. Local B&B accommodation to chat to locals. Thanks, Val (nee MacLeod- Henderson & Douglas). Hi Val, Looks like you have a fun trip to Scotland coming up for next year. 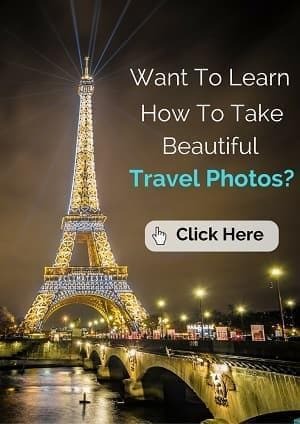 I am not exactly sure what your question is but it sound like maybe you are looking for someone to plan your trip, a guided tour, or for a guide? We can offer advice and tips, but we don’t plan or lead tours ourselves, but there are a lot of companies that can organized guides and private trips. We have used Rabbie’s and they may be a good place to start (they do group trips as well as can plan custom private trips) or if they are not a good fit, they should be able to recommend a company that can help you plan your vacation in the way that you wish. Hope that helps and let me know if you have questions as you plan your trip to Scotland! Dear you two, I plan a trip to Scotland May next year, its me late 50s female with my Westie I named Skye after…! We plan only to go to Inverness and the Isle of Skye. A couple of days at Inverness then by train to Skye for a week. Prefer solitude and quiet. Considering Portree. Looking for quaint pet friendly cottage, on the Isle and in Inverness thought the Palace Hotel may suit, due to its location. Travelling with my Westie I am looking for safety, comforts, where we can walk and explore, even at castles we’ll just do the grounds. No car so trains, buses and on foot will be the mode of getting about. Days of backpacking and camping are over, so it must be a kinda age appropriate for want of a better expression, leisurely relaxing no rush way to see this part of Scotland so late in our lives. My birthday is in December, Skye will be 10 on January 1st, both milestone celebrations, and my gift to her, she is an adorable Westie. Due to cost and the long safari from Budapest, I am actually Hungarian, born in Africa like my Skye, won’t be able to see more cities, etc. I prefer to enjoy and to breathe in the landscape not to overwhelm myself with doing all the touristy things, no desire to majorly shop, but like to support the locals, eat well, and meet the locals, and the livestock, and so on. What advice can you give us besides what I have already read, pretty amazing. My worry is accommodation, must be the best, want to have a good stay, preferably with a bath not shower, my creature comforts must be met, there just is so much available, not sure where to start. Thought about hiring a guide do tours but already stymied, no pets allowed plus the same for coaches. So we must do our own thing. Let me have your comments and opinions, looking forward, thank you, its a lovely Blog we love cats, Skye being a Poltalloch terrier gets worked up by them I always tease her, stop agonizing you know they will always make faces at you! I am so happy to hear that you found our travel blog helpful in planning your trip to the Isle of Skye and the Highlands. It sounds like it is a very special trip for you! Now, only using public transportation plus having a dog does make for a much more complicated trip as you have found out. Public transit in Scotland is OK in many areas, but there are no train connections on Skye, only local buses. Also most hotels are not dog-friendly and many that are, are unfortunately located away from bus stops. But it is still very doable but it is going to require more research and planning on your part. – In terms of guides, we don’t know of any of the regular tour companies that allow dogs, but once you have your lodging booked on Skye, I’d contact your lodging for advice as well as the local tourism office. 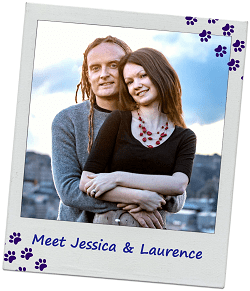 They may be able to give you a name of a local guide who you can contact who would be willing to do a private tour with a dog along. Doing a guided tour for one of the days of your trip may make it easier to see some of the highlights without having to rely on the bus timetable, and have a local guide is always a nice way to see a new place. -The Best Western Palace Hotel looks like a good central option in Inverness and they are pet-friendly. We have not stayed there but have often walked by and it has good ratings and has a good location across from the river. 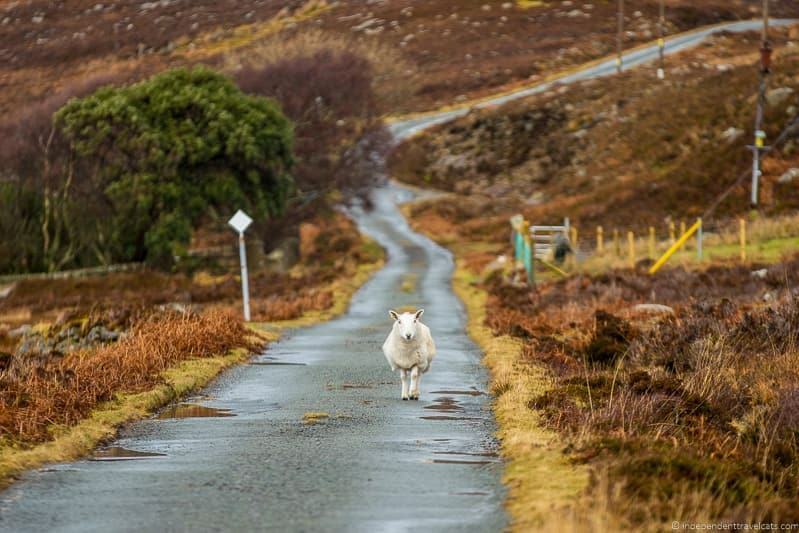 -Also note that if traveling in May, you will need to keep Skye on a leash in many areas of the island as it is lambing season so there will be lots of sheep and baby lambs everywhere, as well as cattle with new calves. A large part of Skye is farmland and grazing land and farmers generally request (and as part of the Outdoor Access Code) that all dogs be kept on leashes if near grazing livestock. There are some beaches and areas without livestock, but the Isle of Skye is not the best place for letting dogs off-leash. You might consider looking for an accommodation option with a fenced in yard or the ability to let your dog roam the grounds. – If you are limited to towns with bus connections, I’d recommend finding lodging in Portree, Broadford, or Armadale (near pier). Other possibilities include Sconsor, Sligachan, and Dunvegan. Most places on the Isle of Skye are not pet-friendly but you should be able to find a few places in each town. 42 Kilmuir – This is a pet-friendly cottage in Dunvegan. I think it is just a short walk from the bus stop. Hi! I am traveling to Scotland soon and hoping to stay 1-2 nights on the Isle of Skye. We will most likely be coming from a 1-2 night stay in Inveraray so would plan to drive up early from there via Fort William. Since we are booking last minute, lodging is obviously limited. If we stay 2 nights, do you think it would be best to stay the first night around Elgol and the second night farther north around Edinbane? The B&B near Elgol looks amazing, but I am concerned that it would be too remote and south for a good home base to see more of the island. Elgol is a nice place and is a particularly nice base if you plan to do a boat ride from there (there are 2 or 3 wildlife/sightseeing/fishing boat operators who leave from here). If you don’t plan to do a boat ride, it may be a bit far away if you only have 1 or 2 nights and are a bit rushed for time. But you could sightsee along the southern part of Skye (e.g., Armadale Castle, Isleornsay, Kylehea Otter Haven, etc.) and then head up to Elgol. There is some nice scenery there and you can do some hiking around Elgol, short or long, there as well (here is an example hike). So it really depends on what else want to see/do in the southern part of Skye to decide if Elgol is a good spot for you or not – it takes about 30 minutes to drive from the main road (A87) to Elgol. So just take that into account for your planning. If that seems too far, I’d pick something closer to the main road or attractions you plan to visit. Then the next day you could stop at places like Sligachan and Portree and then do the popular Trotternish peninsula route to see some of the most famous sites on the island (Old Man of Storr, Kilt Rock, Museum of Island Life, etc.). Eidinbane is nice spot that allows good access to the rest of the northern part of Skye as well (e.g., Dunvegan, Trumpnan), and there is plenty to do depending on your interests and what you want to see. Wishing you a wonderful trip to Scotland & the Isle of Skye. Just let us know if you have any further questions as you plan your travels! I’m pretty sure it never took me the length of time to make the drives you describe in Part 2 of your article on Skye. The road from Caol to Port Rìgh is pretty good with quite a lot of 60 mph sections, and I’ve definitely made it from Sheffield to Uig in less than nine hours of driving, and from Glasgow/Motherwell services to Uig in 4.5 hours (without speeding) in order to make the ferry check in. Hi Elizabeth, Thanks for your comment. It takes about 4.5 hours from Glasgow to reach Skye Bridge, depending on route taken (e.g., A9 or A82/87) and traffic conditions. We’d recommend that someone plan on 5 hours to allow for taking a break or two, and with traffic it can of course take much longer. Then it is about another 45 to 50 minutes to reach Portree. Happy to help provide some suggestions. 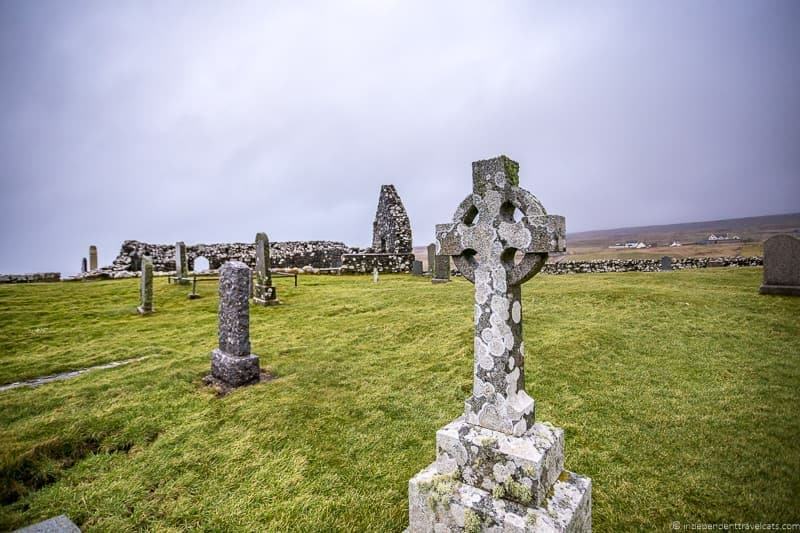 Cemeteries/Old churches: Kilmuir Cemetery (grave of Flora MacDonald) which is located behind the Skye Museum of Island Life which I’d recommend visiting first as it mentions lots of places that may be of interest to you (ruined castles, old churches, Pictish stones, souterrains), Trumpnan Cemetery (history of the MacDonalds and MacLeods tied to this church), and the Dunvegan two churches walk. 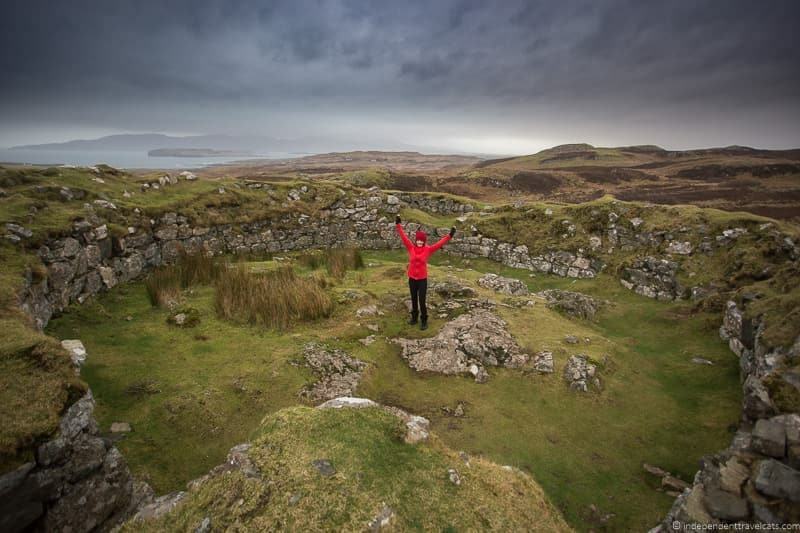 I’d recommend a stop at the Staffin Museum as it talks a lot about prehistoric history and there is a driving/hiking route in Staffin (Staffin Ecomusuem map) that connects a number of natural and historical sites. Highland Cattle: Skye is honestly not the best place to see Highland cattle but you may see them just off the road. For someone who keeps them I’d perhaps contact and book a stay at the Romesdal Highlanders B&B. They keep Highland cattle and sheep on their farm. You might also like the farm walk and talk at Waternish Farm – I don’t think they have Highland cattle (they do have cattle) but it is lovely visit with a local farming couple and Lucy’s afternoon tea is amazing! If you do farming in Oregon, it may be of interest to learn about farming and conservation on the island. Hope this helps get you started! Let me know if you have further questions in planning your trip to the Isle of Skye or Scotland in general. I am planning to travel in 2nd week of june. Its a much awaited trip for me and my family to spend at isle of skye. We plan to start from Inverness and come back the same day. Your suggestion to see itinerary of Rabbies was as fantastic as your post. Could you please tell me would 2nd week of June crowded or should be descent and that parking car would be a issue. Is it possible for us to walk to Old man of storr? Once gain really admire you for your wondeful Post. Hi Vishal, Glad you enjoyed our posts on Scotland and the Isle of Skye. We were just on Skye a week or so ago (mid May) and there were loads of cars parked all over the place alongside the roads near Storr and the Fairy Pools so yes parking can be an big issue on Skye in the late Spring and summer as the parking areas are not large enough for the number of visitors. So yes expect it to be busy, especially in the late morning and afternoon. If you are only able to visit Skye as a day trip from Inverness, the Rabbie’s day tour is probably the best idea for you as it also stops at the scenic Eilean Donan castle and it will allow you to see the main Skye highlights, including the Old Man of Storr, in an efficient manner with a driver guide. If you do the day trip with Rabbie’s, you will probably not have time to actually hike to the Old Man of Storr (it takes about 30-45 minutes each way depending on fitness & trail condition). But you can get good views of it from many other spots and there are parking areas you can stop to see it and take photos without having to hike. It would be a crowded hike during the day in June so I’d probably skip it anyway as it is best in the early morning or early evening when there are fewer people. If you only have part of a day on Skye, I’d use it to see the highlights you want to see and a guided day trip allows you to see things efficiently without having to worry about parking or driving. Hope this helps, and wishing you a great trip to Scottish Highlands and the Isle Skye with your family! I am spending 4/5 days on Skye in a couple of weeks time, so it has been really helpful, as this is my first visit to the island. I am intending to wild camp in my Land Rover the whole time so looking for nice quiet spots to pitch, I’m also looking to do a spot of sea fishing whilst there, so a good pitch near by to the sea would be lovely, can you suggest any areas? I will be visiting some of the popular sites but your advice about early or late visits will put to good use. But I will be doing my best to explore off the beaten track. Hi Karl, I am glad that you have found our Isle of Skye article helpful in planning your upcoming trip. We are not wild campers and are not experts on fishing, so I can’t provide great recs for you sadly. Hope this helps and wishing you a great first trip to Skye! This is such a great post! I will be returning to the Isle of Skye for the third time i June. This time with my daughter. I love the idea of some sort of boat tour to see wildlife. Can you suggest a company for that? Would we need to book that in advance? Thanks so much! Coincidentally, we are going to Skye in 2 weeks and are planning to do a wildlife cruise as we haven’t done one yet – not sure which one yet but there are several of them leaving from all over the island so the boat location may be factor depending on where you are planning to stay and sightsee. There is also a range of tour options from 1 hour trips to full day trips, some with really small boats, some with bigger boats, etc. so best to compare and look for the kind of trip that sounds appealing. UPDATE: We did a 3 hour cruise with Misty Isle from Elgol because we wanted to stop at Loch Coruisk. We had great weather, got to see some seals, and had a lovely time at Loch Coruisk. However, in terms of wildlife viewing, I’d go with a different cruise or a different company as the main focus is on the loch so the cruise part is short (about 20 minutes each way with the rest of the time at the loch). The company does offer longer wildlife cruises but these need to be booked in advance and are not offered every day. If you are looking for things like dolphins, whales, seabirds, etc. I’d consider a tour with a faster boat so you can cover more area more quickly. A few other companies we’d recommend checking out: SkyeExplorer leaves from Uig, Stardust from Portree, Wild Spirit and SeaProbe from Kyleakin. For some boat trips you need to reserve at least a day or two in advance, but many of the tours in the summer you can just show up and book at the dock a little before the boat is set to sail. The websites above should provide all that info. If a company takes reservations, I’d suggest making a reservation at least a day or two in advance just so that you know you have a spot on the boat before turning up. Very informative article. Thanks for spending your time with this article. Worth-sharing article. For me, I dream to visit the UK and particularly, Scotland, the heaven isle. If you can provide me more detail about which hotel to stay, it gonna help me more. Such a wonderful and timely post. My husband and I will be in Scotland in mid-June and I have two nights reserved at a B&B in Portree so we will have one full day on Skye. I am not adverse to seeing other tourists, but it is so pleasant to enjoy a place that seems a road less traveled. Would love to visit Fairy Glen and hike a bit in the Quiraing but nothing is set in stone. 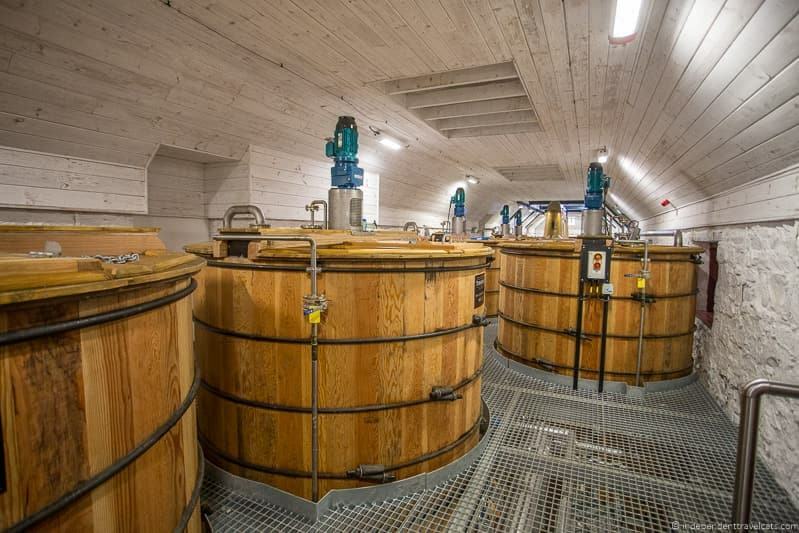 Was excited to see there is a new whisky distillery and would love to stop there to sample. Talisker is readily available in the USA so would love to try the new one. Thanks again for your post. Would love to hear any further advise you may wish to convey. Hi Lin, So glad you found our post on tips for visiting the Isle of Skye. Since you have limited time, I’d plan out your itinerary a bit in advance so you have a general route planned out to make the most of your time to avoid backtracking or missing things you really want to see. If your priorities are Fairy Glen and Quiraing – these are nicely located near each other on the Trotternish Peninsula part of the island. So I’d plan a route from Portree that takes in a stop to view Old Man of Storr, Kilt Rock, perhaps a stop at Staffin to visit the museum and beach (lovely little museum, also a nice coffee spot run as a social enterprise to help disadvantaged youth in Staffin plus in nearby Culnacnoc is a brand new pie cafe), and then maybe up to Skye Museum of Island Life (if you have the time), a hike at the Quiraing, and then onto the Fairy Glen. Then back to Portree for dinner – a lovely harbor here so nice to walk around if weather is good. Or you could do this route in the opposite order as well starting at the Fairy Glen (might be better actually since this is one of your priorities). This is a full day out if you plan to do some hiking and go at a relaxed pace. It is also the busiest and most touristed part of the island so I’d recommend an early start to your day. So I’d visit the Trotternish Peninsula on your full day on Skye. Then I’d try to visit the distillery and maybe a couple other Isle of Sleat sites either on the way onto Skye or as you leave since they are on the other side of the island. If you have a choice, the Armadale ferry might be a better choice that Skye Bridge to visit the Sleat sites as you can enter and/or exit the island near the distillery. The new distillery on Skye, Torabhaig Distillery, started producing whisky on January 2017, so you can do a tour and whisky tasting there but it won’t be any of their own whisky yet since it won’t be ready to sale for at least a couple of years as it goes through the aging process. But it is a nice distillery in a restored 200 year old farm steading with a cafe with a really nice location overlooking the water and even a ruined castle (Knock Castle). Tours are small so just be sure to reserve in advance. If you are visiting Torabhaig Distillery, I’d recommending spending seeing a few other sites on the Sleat peninsula, such as visiting Armadale Castle (museum, garden, and ruined castle) and there are a few art and photography galleries around Armadale and the ferry port. There are some nice hikes around the beaches, lochs, and ruined castles (such as Dunscaith Castle) on the western and northern side of the peninsula as well but you probably won’t have time on this trip. For more whisky I’d also recommend making a stop at the nearby Eilean Iarmain Hotel in Isleornsay where Gaelic Whiskies is based for a taste and you can also purchase it here in the whisky shop. Hope this helps, and wishing you a great visit to the Isle of Skye and Scotland. If you are visiting elsewhere in Scotland, we have tons of Scotland content across our two blogs that might be useful in planning your trip. Thank you, Jessica, for your kind reply, so full of great advice. The whisky info is very helpful. I really should have realized that it would not yet have its own whisky ready for tasting. Appreciate your reminding me of that. Will probably for-go that stop since we will have spent a day in Speyside and will be on to Oban and Islay and should have plenty of opportunities. We will be spending two nights in Elgin before driving to Skye. Not certain the best use of our full day there. Do you have any suggestions? As for Skye, I like your idea of starting at Fairy Glen. Would probably mean fewer people there if we can arrive fairly early. Our B&B will include a full Scottish breakfast opportunity we will want to take advantage of and I am not certain what time that is served but we will take off immediately after. The day prior, we will arrive in Skye via the bridge. We will depart on the Armadale ferry between noon and 1pm after our two nights. It will be on a Sunday so not sure what might be available to visit that morning but will certainly enjoy the drive from Portree to Armadale. We are fortunate to have twelve days in Scotland before taking the train from Edinburgh to London where we’ll have four nights. Thanks again for your very helpful suggestions. Hi Lin, You’re very welcome. The Sleat peninsula is still well worth visiting even if you don’t stop at the new distillery and you can taste the local whisky from Gaelic Whisky if you want. For Elgin, obviously the main attraction in town is the cathedral and the local museum is also worth visiting. You have a lot of options for things to do nearby. There are a number of castles (Brodie, Cawdor, Duffie, etc.) and distilleries in the area that you can visit, there are also several golf courses (e.g., Nairn, Castle Stuart) nearby, it is also close to Inverness (the capital of the Highlands) if you are not staying there and there are a number of attraction in and around the city, and you can also head south to spend some time in the Cairngorms National Park which is a lovely area and one of only 2 of Scotland’s national parks. What an informative and beautiful post! 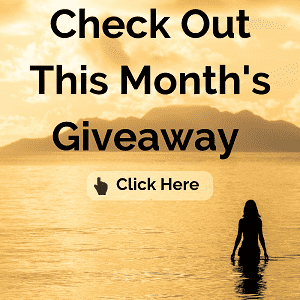 What do you think about the middle two weeks in October? Too wet? too cold? or does it matter? I was considering on leaving my big camera home but after seeing your photos I know I’d never be satisfied if I do! Look forward to following you. Hi Nancy, So glad you found our article helpful! October isn’t generally super cold, but it can be wet and windy. It really depends though as there are no guarantees any time of the year! October is a good month in terms of crowds although there will be families coming up for Autumn half term (in the UK). Many seasonal businesses stay open at least part of October as well. I’d just plan to spend at least 3 days (or more) on Skye to maximize your chances of catching some good weather. Also bring warm clothes and rain gear to make the most of any sort of weather – Skye can still be beautiful in the rain!! The Isle of Skye really does look like a magical place and definitely somewhere I’d thoroughly enjoy. When I get a chance to visit I’ll be sure to consult this post again. I’ve dreamed my whole life of visiting the Isle of Skye, and now my husband & I are finally going in early May! However, I have become more & more concerned about the crowds. I want to see all the highlights, because that’s what I’ve always wanted to see, but it’s become such a popular place in recent years. Are the crowds really terrible where they might diminish the enjoyment of those places? Also, how bad are the midges that early – bad enough to need repellent? Thank you for an excellent, helpful post! Hi Amy, Glad you enjoyed our post on Skye and happy to hear about your trip to Skye. Although there will certainly be a good number of others visitors, early May is a good time to visit (we often have good weather in May, fingers crossed) and is not the busiest time of the year. You probably won’t have any popular sites to yourselves but the crowds should not hurt your enjoyment! I’d just allot extra time, try to start your sightseeing early and maybe go out again in the early evening, and if there is a couple of tour buses arriving, just be patient and wait until they leave. If you have more time, you’ll be able to see the spots without huge crowds as you can simply wait them out as many people are in a bit of a hurry. Come and see us in Elgol. Fantastic views over the Cuiliin on the Strathaird peninsula and you can leave the crowds behind! These are great tips, Jessica. There is nothing more annoying than having to share scenic landscapes with a big crowd. Unfortunately, if you go during the busy season, even the most remote parts of the world can be crowded. Scotland looks fantastic, I’d love to visit it someday. So great to know that I should plan sufficient time. I probably would have underestimated how long it took to get there as well. I haven’t ever heard of the midges, so that is feeling like a bit of a headline. My husband always seems to attract flying pests, so I’m afraid he would fall victim. Works for me, as they flock to him and leave me alone:) Exploring a lesser known area or an “off the beaten track” little museum can be so much fun. We just visited a tiny Manchego cheese museum in Toledo, Spain. So fun, and I learned a lot without having hardly anyone else there! Someday I’ll get to Skye. Brilliant post! I wanted to visit Skye last year but it was August and I thought better of it. A lot of this applies to where I’m from, too! (Orkney gets way less road traffic but far more cruise tourism so it still suffers from the day trip pitfall) I definitely need to make it there some time soon though, because there’s no denying it’s beautiful and I think it’s crazy that I haven’t been. I have only been to Skye once and that was years ago. Barely remember what we did but do remember that the scenery driving from Aberdeen was spectacular. My husband and I keep talking about ‘doing’ Scotland. When we lived there we loved hillwalking and munro bagging. Our life has been in London, Connecticut and now the very flat Denmark. Each Time we go home to the Northeast we love Scotland just a wee but more. 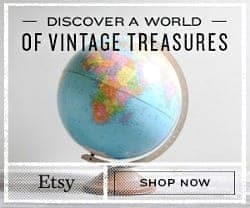 Your post is my very first travel pin, just signed up for your newsletter and plan to use you as a resource if we manage to get as far as Skye (have children in California, life gets a bit complicated. Thank you for a brilliant and inspirational post. On a different note we hiked both in Yosemite and Norway last year, the instagram worthy Troll Tunga….was stunned by the number of people. When I used to go hill walking years ago you never saw another soul! Your photography (or Laurence’s) put any IG picture to shame! You definitely have bumped up a visit to the region on my list! I would prefer to go in the off season to not only miss the crowds but the mosquitoes! Recently being back in England, I was reminded of how lovely it was to talk to locals and ask for recommendations which always turn out to be the best! Pinned! Thanks for linking up with #TheWeeklyPostcard! Hi Lolo, Thanks, glad you enjoyed our photos. Most are taken by Laurence but some by myself although he tends to get all the credit as the photographer which is OK by me 😉 The Isle of Skye is a beautiful place any time of the year but to avoid the midges and tourist crowds (and the ticks) I’d just avoid the summer months (and holidays). So I’d recommend early Fall or Spring – I’d just avoid Easter and the school half term in Spring (usually around late May) as loads of families in the UK travel during that time when the kids are out of school. Many of the seasonal businesses are open from about April/May to October so you can still visit the seasonal museums, tours, castles, shops, and cafes that close in the winter months. But if you don’t mind taking a chance with the weather, winter can also be lovely with the nice winter light and much smaller number of visitors. We’ve been at most of the Skye attractions almost alone in the winter. Businesses are less busy, roads are less congested, and it is easier to chat with people who tend to linger indoors. The risk of course is that we often have rain, snow, and clouds in the winter and of course many of the seasonal businesses are closed (including most of the museums and indoor attractions). But winter is nice if you have time and patience (and hopefully a bit of luck!). We’ve experienced almost a week of solid storms on Skye in December including phone and power outages (still had a lovely holiday though! ), but on a more recent visit in February we had two days and one was a gorgeous sunny day. So you just never know! Do let us know if you plan a trip to Scotland, we’d love to meet up!! Great tips there. I’ve lived in the UK for 26 years and I’ve never made it as far North as the Isle of Skye (I know, it’s shocking)! When we get back next year Scotland is on our agenda to explore more and the Isle of Skye sounds great. Would love to stay for a few days and do some good hikes. It’s funny how travel blogging has actually made me appreciate the UK so much more. Hi Nicola, I hope you are able to make it a bit further north on your next trip around the UK! We are big fans of most areas of the UK, but there is definitely some really special landscapes and scenery in northern Scotland. We highly recommend spending a few days on Skye if you can to have more time to explore. Being so very fortunate as to live full-time on Skye, I congratulate you on your excellent article. However, in your wee aside concerning the fact that it takes longer to drive anywhere on our single-track roads, I wish that you had mentioned that it is presently taking even longer ! This is due firstly to the appalling, pot-holed state of many of these roads….. And secondly to our perpetually-suicidally-minded sheep who will amble across the track with no warning, frequently in pursuit of their lambs which seem to be born with a similar death-wish! Therefore extra care is essential. And if I might just add that the car coming up behind a visitor ambling along at 20 miles an hour might just contain the local GP or Nurse or First Responder en route to an emergency, so it would be considerate of the visitors to pull out of the way and let the person behind go by! And thanks for sharing some driving tips for visitors to Skye. 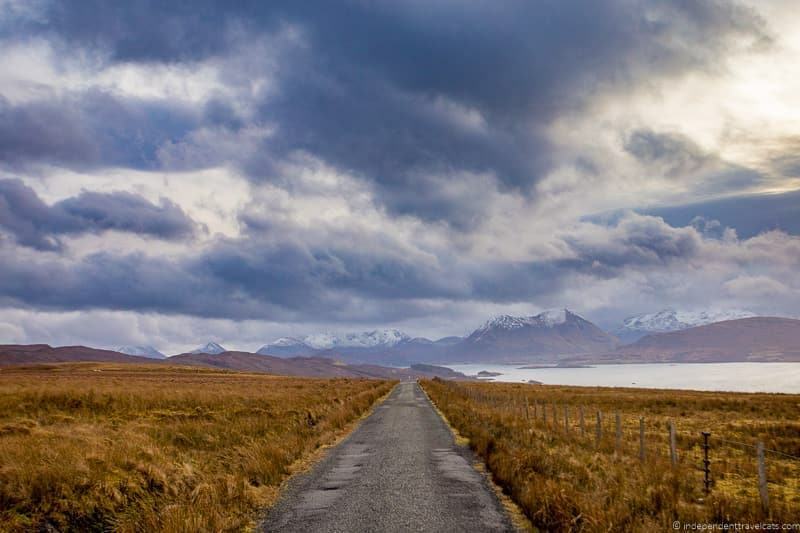 Yes, the driving times can definitely be unpredictable on Skye (and throughout the Highlands) due to so many factors (congestions, accidents, poor state of roads, lambs, weather) and it is always a great idea for visitors to leave plenty of time to get to where they need to go. And slow drivers should definitely pull aside for much faster vehicles and especially emergency vehicles – thanks for sharing that tip! I think we are all guilty when traveling of sometimes not thinking too much about the people that live and work in a place that is a popular tourist area, especially an idyllic spot like Skye. I think visitors may sometimes forget while on vacation that 10,000 people live and work on the island, and that it can be frustrating to get behind someone stopping on the road to take photos or not using passing places correctly! And yes, the sheep and lambs. We were driving around the Ayrshire area last week and enjoyed seeing all the new baby lambs, but they can definitely be a driving hazard and a good reason to drive slow throughout the rural areas of Scotland in the Spring! Strangely enough, as an accommodation provider (Dunvegan Holiday Cottages), I find that although August is busy it is also usually the month that gets the most late bookings with other months on either side being booked up well in advance. The Isle of Skye looks sooo beautiful and rugged – just my type of place! Thanks for these tips – I fully intend to visit and have pinned this post for future reference 🙂 I don’t do well at all in the cold, though, and I also don’t like crowded places, which leaves me wondering when would be the best time to go! Do you think it will still be frosty in early spring? Hi Michelle, Yes, if you love scenery and rugged beauty, Skye should definitely be on your Scotland itinerary! Scotland, and especially the islands, is not necessarily the best place for warm weather lovers. Yes we can still have cold weather in early Spring as we just had snow earlier this week (early April, which is a bit unusual) and there is still snow on the mountains. But really cold weather would be really unusual beyond April. In terms of avoiding cold, I’d recommend the mid to end of May, June, or September. July and August can be great in terms of weather but those are the months with the most visitors. So I think the late Spring, early summer, or early autumn would work well to visit the Isle of Skye based on weather and crowds. That’s really good to know – thanks so much for the thoughtful recommendations! Scotland is one of my favorite places to visit – but I’ve never made it to the Isle of Skye. It’s a dream destination for me! Great tips and your room next to Three Chimneys looks great, too. 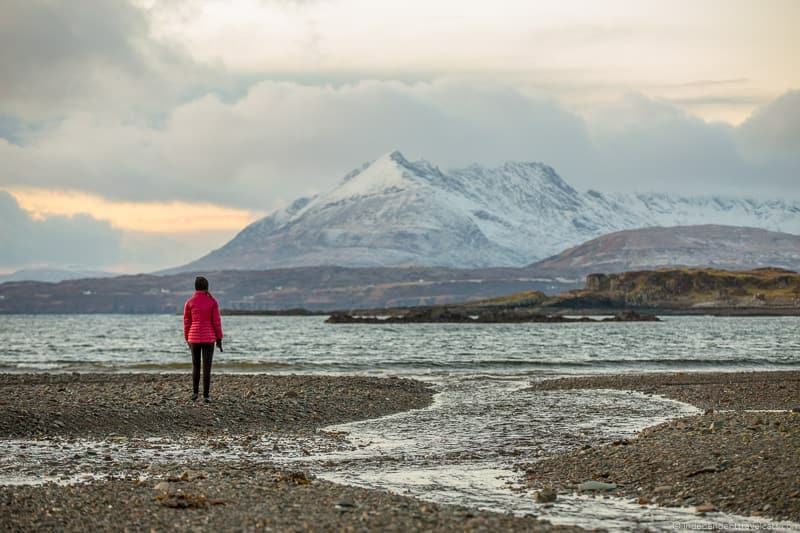 Fantastic tips about Skye – we especially like thinking outside your phone. An increasingly rare and valuable skill! But if there’s one thing in this post that made us stop and say Wow! 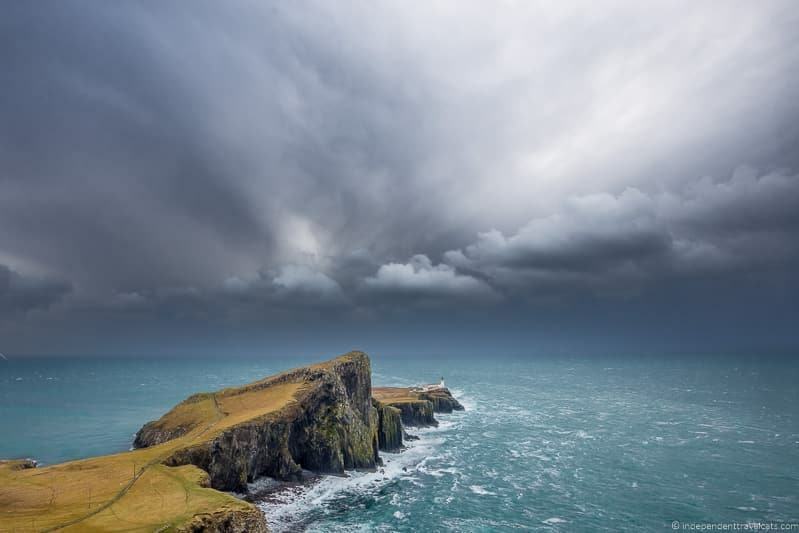 – that picture of Neist Point under those moody clouds. What a beautiful photo! Akin to your comments about finding out where to go by studying maps and guidebooks, we like to take a virtual tour using Goolge Maps’ Streetview. Not only does it help familiarize us with routes, we’ve spotted a few things that we later went to see in person that didn’t show up as landmarks or Instagram spots. As usual, great post! I’ve become more and more aware of Isle of Skye, so now I am hoping to visit someday 🙂 Will share this on Pinterest! Your photos are so beautiful. I would love to visit these islands, and I love that they have a distillery. Excellent post! I’m going to Skye this August for 2 nights (maybe 3) and this was super helpful. I hadn’t really thought about the fact that it would be high season during that time. I have been to Skye before with a local guide, and this time I’d really like to properly see Portree and the Fairie Pools, and wouldn’t mind skipping some of those other super popular places. Any recommendations for ‘off the beaten path’ for just 2-3 days.? Glad you found our post helpful! Yes, August is usually the busiest month of the year on Skye and the one with the most congestion and crowds. The Fairy Pools are beautiful but again are one of the most visited spots on Skye. If the Fairy Pools and Portree are must-visits for you, I’d perhaps visit them on one day and then spend you second (and third if you have it) exploring other less popular spots. If you visit the Fairy Pools early in the morning or later in the evening you’ll find fewer people there. To really explore Portree you’ll probably want to be around when the shops and cafes are open so a good town to explore at any time of the day, but it will be busy in August. A good way to avoid the crowds are to skip those sort of places and spend your time elsewhere. I’d read over the tips in the post and follow your own interests to help you find places on the island that appeal to you whether it is hiking, boating, searching for Iron Age ruins, art, or seeking out the best meals on the island. Hiking and staying in an accommodation set away from a town center is also a good way to find some quiet and relaxation on the island. Hope that helps and wishing you a wonderful holiday on the Isle of Skye! Have a look at the walks in the small book ‘Isle of Skye: 40 coast and country walks’. We’ve found this to be an excellent resource and it has quite a few off the beaten path places e.g. Oronsay which is an island on the West side that can be reached only at low tide and has fantastic panoramic views over to the Cuillin and across to South Uist. There are also alternative walks around Glenbrittle which is a bit further on from the Fairy pools and will be less crowded and just as beautiful (with more parking and a coffee shop). Great tips. I went to the Isle of Skye the end of the summer and I didn’t mind the crowds too much. I just enjoyed the view! But I would love to go to Isle of Skye and visiting some of the lesser known spots.